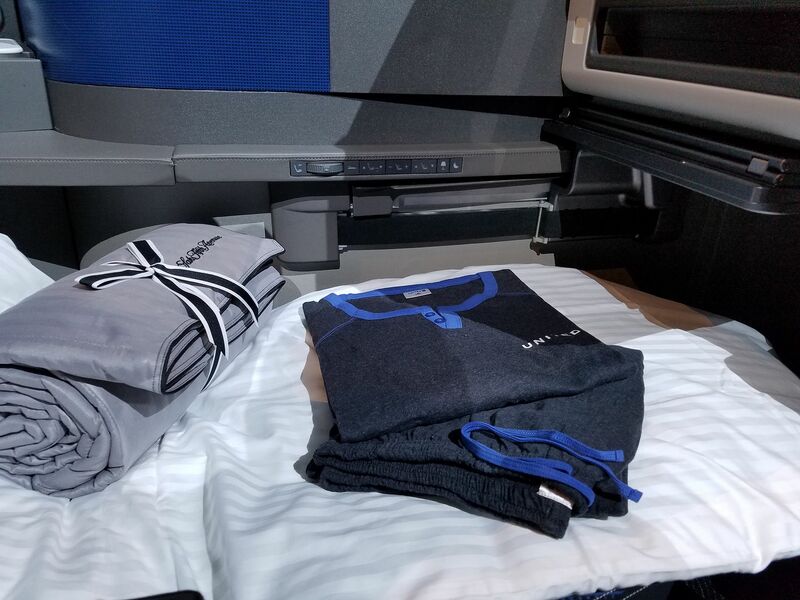 Passengers apparently stole so much United Polaris bedding that flight attendants were told to keep a watchful eye and scold passengers who try to take pillows and blankets. This is serious business Someone was once sentenced to three months for stealing two towels from a Hilton. No one though is going to steal American Airlines domestic blankets. And if they do, those can’t be worth much. The new Casper bedding, maybe, but not the stuff they board on a short regional jet flight. One flight attendant though was convinced passengers on AA3756, an Embraer ERJ-175 from Dallas Fort-Worth to Sioux Falls, South Dakota, had taken blankets from first class. The two passengers, NBA minor league players, were kicked off the flight because “the flight attendant reportedly felt threatened and refused to fly with the pair on board.” They missed their team’s Christmas even dinner in Sioux Falls, but made it on the next flight in time for their game. While this occurred on American’s wholly owned subsidiary Envoy Air rather than American Airlines mainline, it certainly doesn’t help them address the negative publicity over race relations brought about by the NAACP’s travel warning. The flight departed 54 minutes late. American Airlines has extended an apology to the players. Gary may fish for clicks, but this story is exactly as reported in all media. No fishing for clicks here, just reporting. This is America. They’re big and they’re black. That makes automatically makes them suspect, scary and intimidating. So let’s hear the racist comments from the fat rednecks who aren’t racist because they have black friends. Come on Bufords. We know you’re hear. 500 pounds and Trump ugly is hard to hide. First class amenities for first class passengers. What’s so hard to understand? They’d hand out blankets in coach if they wanted everyone to have one. So let’s hear from the super liberals who somehow make this Trump’s fault. Oh sorry, Greg already did that. I’m not sure why Greg is so angry but…I heard or is that herd or I hear that the FA was also of African descent. If that’s true I wonder how this could be racist. I was on this flight. This is not what happened. The blanket issue was resolved immediately. The two passengers threatened bodily harm to the flight attendant. That’s why they were escorted off the plane. The FA is black. It wasn’t a race issue. It has been reported for years that the percentage of NBA players who are convicted felons is around 40 %. Who in their right mind would want to be around that?